As a founding father of Lutheran churches in America, Wilhelm Loehe is a link between today’s pastors and the wisdom that the church has gained from centuries of studying God’s Word and applying the means of grace to people. 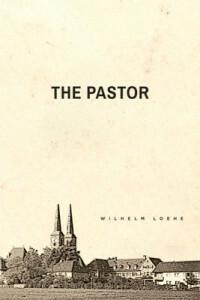 Throughout his book The Pastor (Der evangelische Geistliche), Loehe explains the “how” and “why” of a pastor’s duties in the “one holy catholic and apostolic church.” He clarifies not just Lutheran pastoral practice in the 19th century, but also what it means to apply the Means of Grace to God’s people in the 21st century, in harmony with the church of all ages. Never before translated into English, this book will soon be available (later in 2015). In the following excerpt, Loehe explains how the pastor’s life either confirms or denies his preaching, and he introduces the “ascetic literature” of the Lutheran Church, consisting especially of books of devotion and meditation. 59. All official work of a pastor, be it done ever so well, will not earn him the respect of his congregation if a truly spiritual conduct is lacking. Thank God that in the consciousness of our people, teaching and life are still so insepara­bly connected that they desire to see a living sermon in the example of the pastor. That should be a real incentive for a pastor to lead a worthy life. The requirement of the people is for him to be an echo of his own sermon and a proof that he did not preach it in vain. In this demand, the preacher, who rarely knows how to preach for himself, also has something of a sermon, for which he ought to thank God. 60. Conduct has two sides: It is either hidden or public. Hidden conduct is thus called because it is hidden from people. Either they cannot see it because it takes place on the inside and is visible only to the All-knowing; or they generally do not notice it because, even though it may be outwardly vis­ible, it is not in a way that would provoke the eye of the neighbor. Public conduct is shallow and empty if hidden conduct before the eye of God is lacking. Just like a dead body is different from one that still has a soul, a purely outward respectability is different from the holy life of a man who is filled with the Spirit of sanctification, both inwardly and outwardly, in his secret and in his public conduct. 61. If the outward and inner forms of conduct agree, the word of the apostle is fulfilled: “If our hearts do not condemn us, we have confidence before God” 1 John 3:21. Confidence and a good conscience before the Lord are needed by the one who is to proclaim to Israel its faults and to the people of God its transgressions. On the other hand, God will reveal and avenge a secret shame, if one teaches differently and becomes disqualified. A good conscience makes a quiet, clear, confident, courageous, and manly soul. And that is exactly what you need for the Holy Office. 62. Pure conduct before God and men, and the good conscience emanat­ing from it, is so much more necessary for a pastor, since he has to walk in an evil world and is hated by the devil. Because of this he cannot avoid slander. The person who always comes up with “something always will stick” at every rumor has little experience. The slanderer sometimes is happy to use a little truth and turn it into a great lie. But often he lies and makes things up, and his children talk, as they say in the country, “just what they want.” Therefore, no one will remain blameless for long, until any old rascal has the idea to blame him. That easily can happen to a pastor who administers his office without preference for any person. As soon as an invective is spoken in a devilish and shameless way, it just as soon gets in circulation. Then everybody also will believe “what he wants.” In short, there is no one on earth and in heaven who can escape the attack of evil tongues. This often hurts a poor person so much, especially when he realizes how important a good example is for the office. Then it is well if “his heart does not condemn him!” After a while, one gets used to everything, and once one is used to living under the attack of evil tongues, a good conscience will find its right and might. The joy of a faithful pastor is then like that of a unicorn, and his rest like that of a rock. 63. We do not want to mention everything pertaining to hidden conduct, nor are we able to do so. But some things should be mentioned here. The source of all spiritual life is the Word of the Lord. Therefore, the apostle ex­horts his Timothy to “pay attention to reading.” Exegetical studying some­times leads to a beautiful hour of devotion. But as a rule, it is a part of a pas­tor’s work. It is quite different with cursory reading, when one does not pay attention to individual difficulties, but looks at the total context and lets it make an impression. Older theologians have praised the cursory reading of Holy Scripture very much, and saw to it that they would read continually and finish Holy Scripture in a certain time period. In recent times, when one no longer seems to have the steadfastness and strength of will as formerly, the suggestion to read the Bible in a cursory way, to finish a certain amount in a predetermined time, and eventually finish the entire Bible, was considered a limiting of Christian freedom. As if one could force another one to do this! As if it were not possible to read the entire Bible as a free Christian! As if there could be danger involved if one freely chooses daily to read the divine Word! As if it had been a danger for the fathers! One never tried or practiced it and yet one considers it dangerous! Ignorance, lack of experience, laziness, and realizing one’s own inconstancy—that is what keeps one from the great blessing of regular reading of Holy Scripture. But let one find inner quietness and practice in simplicity what the ancients prac­ticed for a while, and one soon will stop considering those objections to be wise, which clearly lack any wisdom. 64. A pastor should read Holy Scripture. But let him also use human de­votional writings that can feed his soul. Unfortunately there are only a few. There are almost no devotional books for evangelical pastors. Yet the work and the needs of a pastor would justify writings of this kind much more, than, for example, devotional writings for women or virgins. If only we had an evangelical book as excellent as the Roman breviary is in its own way, a great lack would disappear and a rich source of blessing would open up. 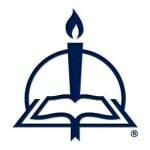 But since something like this does not exist and can hardly be expected, let the evangelical pastor be so much more eager to use the manifold ascetic litera­ture of the Lutheran Church. Let him not despise these sweet fruits of the Holy Spirit, which have not been recognized nearly enough. True, the expression of many famous Lutheran devotional books are of a strange manner. Therefore one cannot recommend them to those who get so caught up in the strange form of speech that they either want to imitate it, or are repelled by it. But we do have authors who are excellent in form and con­tent, who deserve a place in the history of German prose, just as surely as the hymns of the Lutheran Church have already found their place and their laurels in the history of German poetry. We do not want to talk about one who in this area is revered by all parties, namely Luther. But do remember Scriver, Philipp Nicolai, Meyfart, etc. Truly, with these and many other authors we possess rich, lovely gardens of paradise, full of tall trees and beau­tiful, fair-smelling flowers, full of precious fruit and fresh springs. The richly gifted pastor, as well as the one with fewer abilities, can find in them blessing, progress, riches, strength, comfort, and encouragement. There should not be a pastor who is not well acquainted in our rich gardens. Provisions should have been made long ago that those who want to enter here would find guid­ance and counsel. Long ago there should have been a history of the spiritual literature of our Church, and a collection of the most glorious and best. This indeed would be the best beginning, the best preparation for an evangelical breviary. But even to bring about these advance preparations, we would need praying, devout, celebrating souls, who read for their own devotion, who know how to prove and to measure everything they read, and find the strength for this in a soul that is living and worshiping in God’s Word. May many young pastors take the necessary admonition and encouragement from what has been said here. May they begin a holy sweet, devotional study in their young years, to which one should be able to dedicate the quiet hours of one’s entire life, without finding any lack or boredom. From The Pastor: The Pastoral Theology of Wilhelm Loehe, pages 57–60 © 2015 Concordia Publishing House. All rights reserved. 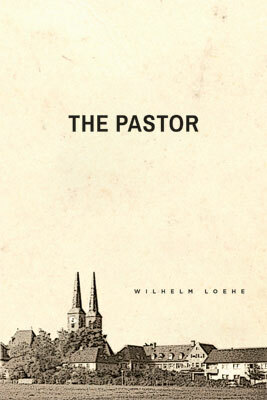 To order The Pastor: The Pastoral Theology of Wilhelm Loehe, please contact CPH at 800-325-3040 or visit www.cph.org.